Speedminton is the new beach badminton game that is taking the outdoor gamers by storm! This is the new badminton alternative because of the better Speeder (Birdie) design. The Speeders are smaller and heavier then badminton shuttlecocks, so they fly better even on a windy day. Speedminton was created for outdoor fun and even glows in the dark. You do not even need a net to play with this racquet sport. Guaranteed to have a racquet of a time. After reading our Speedminton Outdoor Game Review and seeing all the rules you will for yourself. 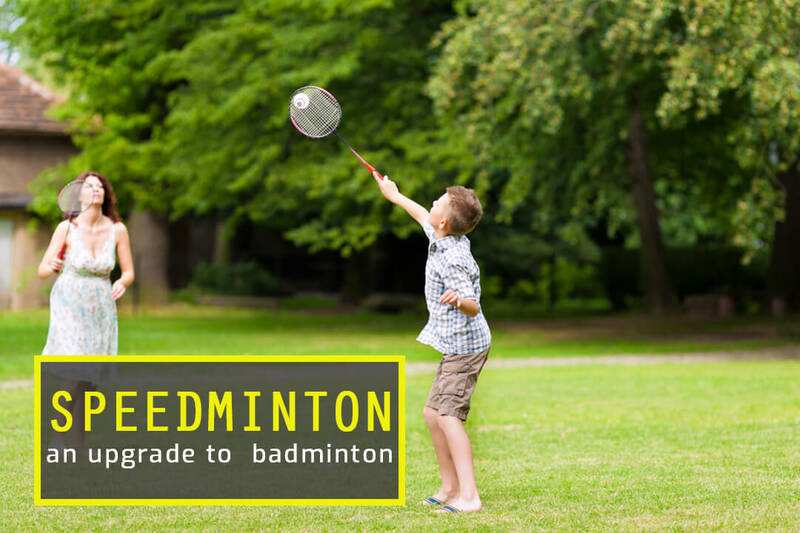 If you love badminton, pickel ball, or tennis then Speedminton will be your favorite racquet sport game. It is very easy to learn and best thing is that you do need to carry around or setup a net. 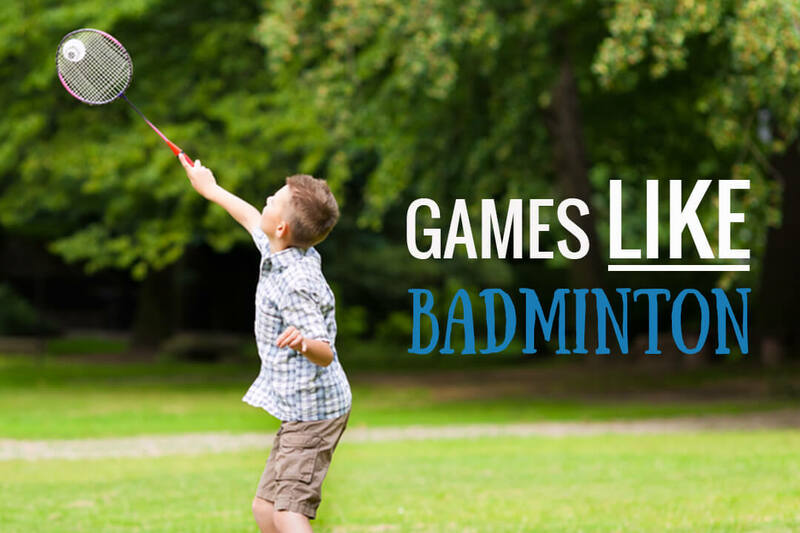 The rules and basics are very simple, similar to badminton rules. Each player stands in approximately an 18 foot square and has to defend it. The players hit it back and forth and if the Speeder lands in the other players square you get a point. If it drops outside the zone or lands in the middle then it’s the other players point. The official tournament play is to use a court that is 42 Feet by 18 Feet. You can just mark off an area on the beach, park, or backyard and get a game going. If you have cones great! Alternatively, on a beach you can just do your best to mark an area in the sand. The playing zone (that is the 18 feet on your competitor’s side) is the spot you try to land in to get your points. Instead of hitting it over a net you play between 2 squares with a distance between (lets call it no mans land) acting as the net. This is playing field (shown above) is the approximately ¼ of the entire area. The rules of Speedminton are very simple. Each game is played until a player reaches 16 points. If the score is tied at 15 it will be the first player who gets a 2 point advantage. A match consists of he first one to win 3 games is the champion! If a fifth game (tiebreak) becomes necessary, players change sides every 6 played points. To start the game players will draw and decide to see who serves first. Each player gets 3 serves each before alternating to the other player. All serves must be from servers’ box. Remember that unlike tennis every serve counts and there are faults (or mulligans). To keep it fair with disadvantages from external foces, like wind or sun, players change sides after each game. The scoring system is very simple. As we said above every serve counts and you alternate serves ever 3 plays. Each rally (or volley as it is called) is counted as point. – If the Speeder touches the ground at any time. – Hitting the Speeder out of Bounds. – If it is hit twice by same player or team. Also just for the record if the speeder is hit out of bounds and the player tries to return it then it counts as accepted and play continues. Speedminton equipment is pretty standard. The rackets are made up of aluminum and typically weigh around 6 ounces and are 23 inches long. They are shorter then traditional tennis or badminton raquets but far more durable. The speeders are similar to the birdies but heavier and different design as described above. With the Speedminton set they normally come with 3 speeders. One for fun, one for official games, and one that can light up at night. As fair warning the official game birdies fly much faster and can go up to 190 mph and goes much further. The rules for playing doubles is very similar to doubles game in tennis when serving with the same rules as singles Speedminton. The server has three serves in a row just like a singles game. The first service is always made from the right-hand field to the left. All serves must serve diagonal to the opposite field opponent as shown in the image below. After each serve the serving team swaps fields with their team partner and serves diagonal to the different player on the opposing team. Once the serve is returned players are free to move anywhere on their team’s field to play the speeder. Once all 4 players have had their 3 serves it returns to the first server. The fun does not need to stop just because it is getting a little dark out. The creators of Speedminton thought of everything when they designed a Speeder that can also be played well into the dark! All you must do is push the Speedlight into the hole at the back of the speeders head. The fun thing about this is even if you are not able to see your racquet, your hand and mind just know where it is. One of the things I include below is wish that the speeder was a bit brighter but still ads drastically improves a game when it is getting dusk out. 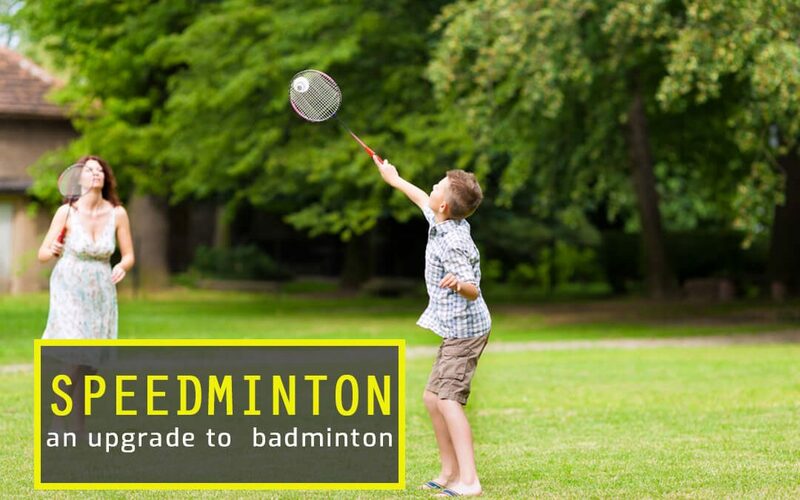 We still love the classic badminton but when you want to play it out in park or beach wind is always a factor. Speedminton has better design and results in faster and closer play. Even when just hitting it with a friend you can make it more challenging. The racquets are smaller so kids can use them and is being played in schools. It may seem a little more on the pricey side but when you think about what the cost of an even average tennis racquet costs its more comparable. It has definitely earned a spot in our cars trunk and treasured backyard game shelf! 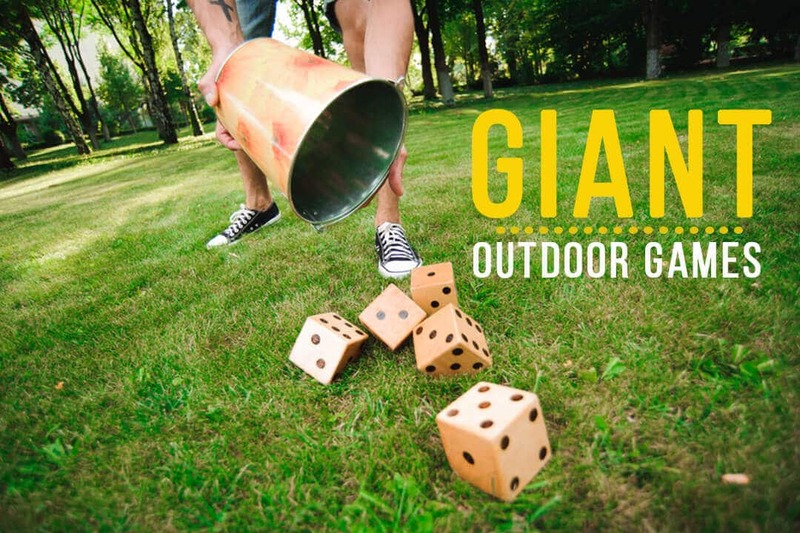 Speedminton has been featured in our Ultimate List of 65+ Backyard Games, Beach Games for Adults, and Outdoor Games for 4 People.